Occupy Wall Street re-ignited our connection to a basic truth: we are all in this together. Solidarity is key to any decent arrangement of life as it moves us to find the common good of all of us. 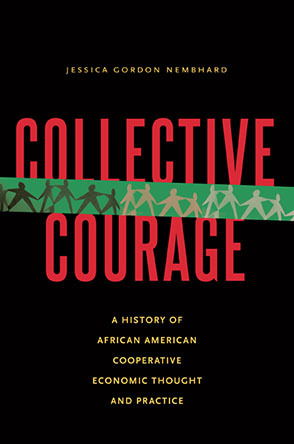 2012, the Year of the Cooperative, could not be more timely. Is there an institution that embodies this truth more fully? There is a special beauty and power about co-operatives—worker, consumer, and producer. Inherent in its design is the capacity to connect individuals, their individual interests, and their lives to goods and interests larger than themselves. For sure this happens in the bonding between co-operative work partners as they share the intimacies, values, hopes, and productive efforts of their work lives. But it can, and often does, go well beyond that. A co-operative can be a social and political institution as well as an economic enterprise through which individual members can consciously connect with and serve the common good of us all—starting with their community, then onto a network of like cooperatives such as the Valley Alliance of Worker Co-operatives in western Massachusetts, onto the whole cooperative movement here in the States and across the globe, and onto all the other movements and efforts for greater democracy, cooperation, peace, economic well-being, and ecological sanity. This capacity for concrete connectedness can enable an individual co-operator to become and experience herself as an active center having a rippling effect throughout our entire web of mutuality, which we call “nature” or “universe”. With such awareness she can know she is touching the common good of us all. One word captures all of this — solidarity. As exciting as this sounds—and often it is that exciting—it is also quite challenging. Having a deep awareness of how one is connected to everything forges a deeper and more sensitive responsibility for everything. As such it can keep pressuring one to grow and develop as a conscious and caring being, just as any deep and meaningful relationship does. Each co-op can be an incubator for developing this kind of self-fulfilling awareness and responsibility. For example, individual co-operators are constantly learning how to integrate their self-interests with those of their fellow workers and members. And any co-operative worth its salt does this while taking into account their role in its immediate community and local area where decisions and actions have the most impact. With its 16,000 members and a highly functioning system for organizing member contribution, Park Slope Food Co-op can afford to contribute some member time to other community projects in need of special skills. This kind of capacity illustrates how co-operatives and networks of co-operatives can be a vehicle for reaching deep into a community and promoting its common good. This view that the common good of us all is the ultimate priority of co-operatives is embedded in the history of co-operatives. There is an official International Co-operative Association statement on the Co-operative Identity, Values, and Principles. It is an international consensus on the fundamental purpose of co-operatives, their networks and movement. A definition, a statement of values, and seven principles comprise the Identity Statement. The common good principle is central to all of them, although this may not be evident on a first reading. In this article we want to make it very evident. So let’s go through each of them carefully. For this definition to have a living meaning for a given co-operative, it would seem that its members would have to think deeply about what and with whom they hold themselves in common. Imagine yourself as a worker-owner asking yourself and your fellow members, “Hey, who don’t we include in our co-operative’s set of ‘common economic, social, and cultural needs and aspirations’? This kind of inquiry, case by case, can evolve a bedrock of shared values underlying every decision they make together. as a participant in the whole cooperative movement. These are the kind of value questions that we never answer definitively because each situation calls for its own application. They are the core identity questions we need to keep asking and exploring all the time. How are these first two values cooperative, and not just expressions of hard-nosed, narrow-minded American individualism? What about “self-responsibility” and “social responsibility?” How do they connect to each other? And what does all this “value” stuff have to do with making a buck? The point is not to answer these questions, but to bring them into focus so that we can hone them into delightful tools for enriching our sense of how serving ourselves and serving the common good of us all are not opposed, but rather mutually reinforcing. For sure, the two often seem in tension because time, resources, and ourselves are very finite, while our desires, preferences, loyalties, conflicts of interest are more abundant. But being in tension is not the same as being opposed. And resolving those tensions is how we expand our awareness and develop our capacity for cooperation. Our co-operative identity statement includes seven basic principles that “are guidelines by which co-operatives put their values into practice.” How do they help us weave our self-interests as individuals and separate co-operatives into our web of common interests? Co-operatives are predisposed to say Yes unless there is a good reason to say No. This is a major statement in any community. One that invites and encourages a community to be open and connected to all. As a guideline it is saying that we don’t have any principles for excluding anyone. We are connected to everyone, even though there may be reasons that we decide we cannot accommodate someone in a particular situation, such as the detrimental effects it may have on our co-op. But this cannot be for satisfying any kind of discrimination because that is contrary to what each one of us embody in common: our humanity and our shared connection to everything, to the oneness of reality, whatever our gender, or social, racial, political or religious orientation. Most of us have a knee-jerk reaction that approves of anything “democratic.” But the ICA Statement says explicitly that these seven principles are guidelines for putting our co-operative values into practice and thereby achieving our co-operative identity. So this statement of principle is making the claim that being democratic is part of the essence of being a co-operative. And it’s not much of a stretch to extend this statement to include the claim that cooperation in itself is a democratic dynamic. This statement is also very clear that democracy is not a passive right. It is a demand that members control their organization by active participation, and that each member should be held accountable for being active. Being a co-operative means that the common good of all of us is dependent on the conscious and meaningful engagement by all. The web of cooperation is proactively inclusive of all, whether it is within a single co-op, between them, throughout the movement, or in relationship to all other movements for broader and deeper democracy. Like the cellular network of our bodies, nothing is to be left out that belongs in. Cooperation is how everything that is connected pursues the common good of us all. The first sentence pinpoints the democratic responsibility of each member. Then the statement focuses on the purposes for using our economic resources. In doing this it shows how the common good of us all is simultaneously being served. First, we need to develop our co-operative: the individual is responsible to the whole. It is the means through which we, the “benefiting members” will be served, which is the second purpose: the whole is responsible to the individual. This reciprocity is like an electric current: it’s all there at once. The third purpose simply carries this fundamental reciprocity that is the heart and soul of cooperation to the next levels. Just as the individual co-operator is part of a larger whole, so is the co-operative. Our connections always extend us out to larger levels of connections and commonality. And it is this core reciprocity between all the parts that enables each part to sustain the whole, and the whole to sustain each part. This is how our bodies function. It’s how the universe functions. It’s how our communities and social systems could work. This principle raises an interesting question: if the definition, values and principles being discussed here are so much about cooperation and the common good of us all, why is there this emphasis on autonomy? Because, paradoxically, there can be no cooperation unless there are autonomous individuals and individual enterprises. Nor can individuals ever have clear identities and roles without fundamental connections to a cooperative whole. What is at play is that fundamental reciprocity we keep coming back to. Every part of our body has a clear identity and function, and they are all interdependent. They have no identity without their connection to all the other parts of the whole, and they can’t function without these connections. What is a hand disconnected from the rest of its body? Nothing more than a symbol or a dislocated image. Can you imagine a person who is not uniquely connected to others? things? places? a family? a community? to a story over time? And along with these, to the larger social world and to nature. Conversely, could you imagine her if she had no distinctive identity with its unique relationships to the things, places, people and stories of her life— relationships that give her functions in life? And the same holds for our co-operatives. From this perspective what really seems weird is picturing a business in which the people who directly produce its goods and services are treated as an expense rather than as an asset. If cooperation hinges on autonomy, then what would make better sense than for co-operatives to empower its members. The underlying dynamic is that cooperation, wherever it occurs, thrives on power-with not power-over. We empower each other together. In the first sentence the statement focuses on how this dynamic applies to the co-op itself. Then they go immediately to how it applies to the common good mission of the co-op: getting the word out to the larger community. That is, co-ops should have a transformative social and political role, not just a self-serving economic role. for them to work with any kind of structure that would serve the underlying values and practices of their common good movement. This could involve partnering in a local federation of various co-operatives, with governmental agencies, other alternative enterprises, and social justice organizations. It could even extend to a regional network involving all of these. The core idea is that co-ops should make alliances and coalitions to help get their needs met, but to be sure to maintain their own integrity and autonomy. “Sustainable development” is a timely formulation of the common good principle. Our locale should thrive, not just survive, and this involves acting and thinking globally as well as locally. But notice the re-affirmation of personal and co-op autonomy made in this statement: “through policies approved by their members.” That is, the co-op determines democratically how it will contribute to the common good of us all. This is a radically ground-up approach that has the potential for two things: 1) holding each individual accountable for their freely chosen way of serving the common good of us all, including the universe itself, and 2) empowering co-operatives, individually and collectively, to achieve that service joyfully. Co-operatives are a living demonstration that cooperation can work. They are such a brilliant vehicle for achieving and modeling this core feature of life. Its brilliance lies in the fact that it is grounded in the basic phenomenon of everyone and everything being inseparably connected. That we are all in this together. And cooperation is how we can make that work well. Individualism (as opposed to individuality and autonomy) is a social cancer. As are growth for growth’s sake, greed, and all forms of adult self-centeredness. They all tend toward disconnection and away from the common good. Giving to gain approval disconnects us from the receiver and the whole. Giving as an action flowing from our connectedness fills us as well as the receiver of our gift. Receiving without any resistance or guilt increases the giver’s joy and fulfillment. It’s an awesome dynamic. The thrust of so much of our 21st century US lifestyle separates us from each other. It even tends to separate the vital parts of our lives: work from family, family from community, sustaining ourselves from sustaining other. This alienated lifestyle, which, unfortunately, we embody, pits us against our cooperative selves. It even leads to pitting ourselves against each other. Living like this strains our connections to the point that our centers cannot hold, and the wholeness of our lives fragment out of control. The ultimate value of cooperation is that it enriches us individually by keeping us connected to each other and able to identify the common good of us all in every situation. It sustains wholeness at all levels within each sector and across all sectors. This, in turn, makes for the good life— love, the creative negotiation of differences, joy, and productivity. I quote each principle directly from this document in each discussion of the seven principles that follow.